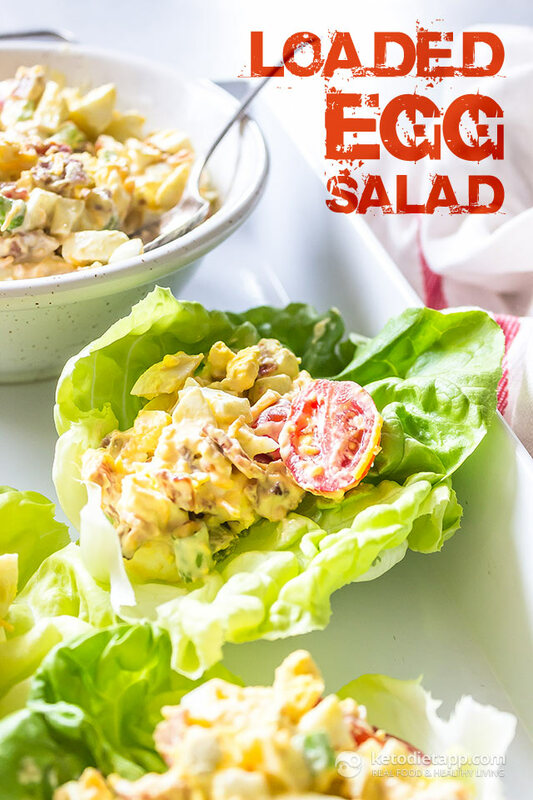 I love keeping this Loaded Egg Salad on hand for easy lunches during the week! 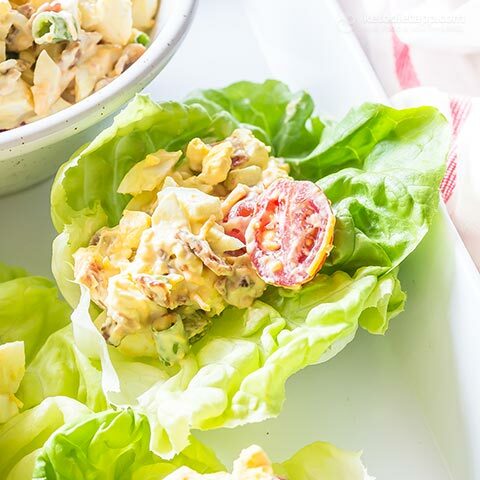 It’s delicious tucked into lettuce cups or between keto sandwich bread! 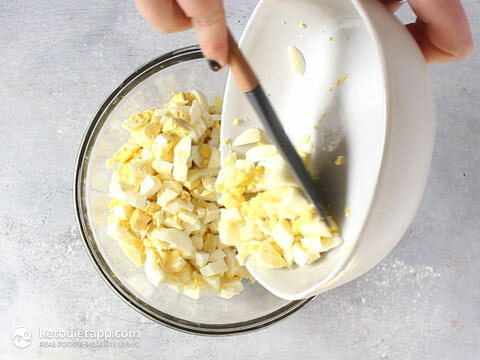 Place all of the chopped eggs into a bowl. 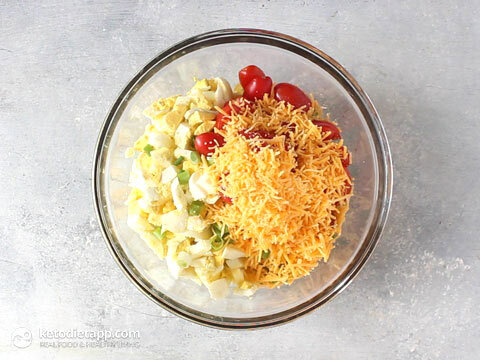 Add the spring onion, tomatoes and grated cheese. 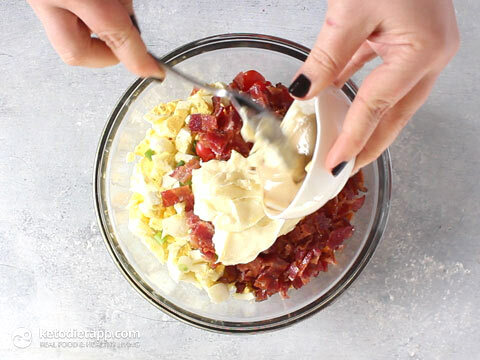 Add the mayonnaise, bacon and mustard. Season with salt and pepper to taste. Mix to combine well. Serve on top of crispy green lettuce leaves.Store in an airtight container in the refrigerator for up to 5 days. I am growing increasingly frustrated with the recipes on the Keto Diet App. Once again (and this is the second time in a row), I sat down to eat the recipe I just spent 45 minutes cooking and tried to input it, but the app doesn't recognize it. Even though I got it from the app. So now I have to enter everything manually. Second, did anybody proofread this recipe? Notice anything missing? Dear Jadzia, I apologise for missing that ingredient in the recipe steps (although it is on the step-by-step photos). I can ensure you that we proofread every recipe but we are just human and I believe it's not a crime to make such a tiny mistake. I share a free recipe every single day. That is a lot of work for which we do not charge our users and it can happen that I may omit an ingredient. We never received any support email from you (There is a way to contact us directly via the app). All recipes that I share on the blog can be found under the KetoDiet blog section of the app (there's a plus button on top right) and also in the Custom Meals > KetoDiet blog. I just double checked and this particular recipe is included in both sections. Feel free to contact us via e-mail. How did you manage to spend 45 minutes making this recipe?路‍♂️ It took me 20 and that was only because I had no boiled eggs. That’s a mean thing to say about the tiny error come on... this website has been a lifesaver for me. I can’t thank you guys enough for everything you share! Anyway... I actually made this yesterday and works for me. I tweaked it a bit cause I didn’t have mustard and they let you clone all the meals which is really cool. I just clicked on the plus and added to my Planner. Maybe you need to restart your phone? For a moment I thought you were right but I searched for the wrong recipe name. It's your phone, mine works too. I'm actually shocked to see how entitled some people feel only because they paid a few bucks. I'm quite happy with what I get for that $10 bargain. The recipe looks good. To make it even easier, instead of boiling the eggs create an “egg loaf” with the Instant pot. 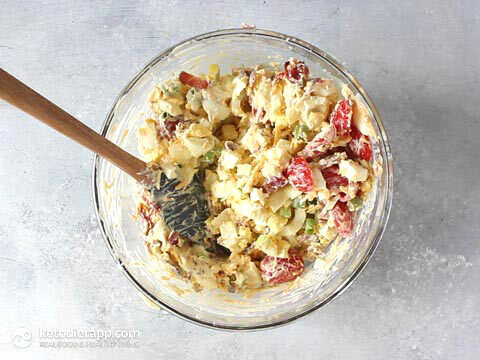 That is how I always make my egg salad.